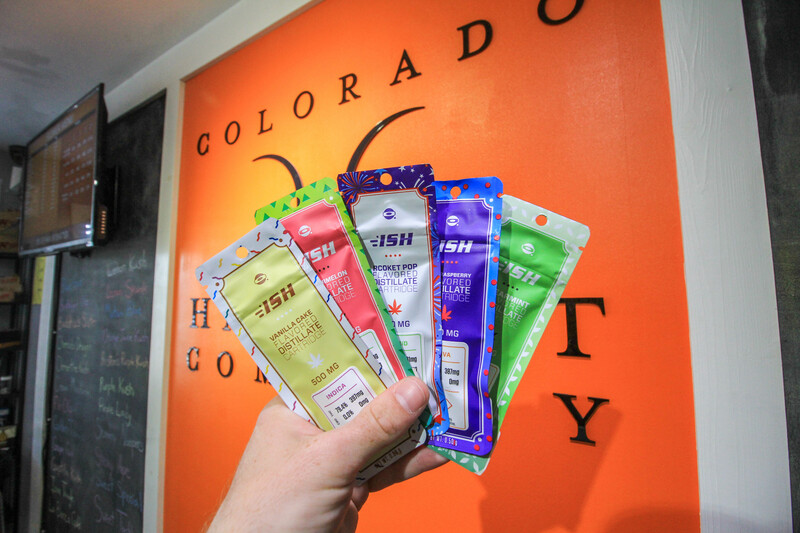 Introducing the new O.penVAPE ISH™ flavored cannabis cartridges. O.penVAPE has created a new addition to their cannabis vape cartridge line that provides an insane amount of flavor. Most cartridges on the market do are not designed to taste like Vanilla cake, Rocket Pop, or Watermelon. However, now you can experience a different flavor of cannabis that you haven’t had before. Gone are the days of plastic mouth peices. The ISH has an aluminum cannabis cartridge and pen. It’s stylish and minimal look brings a new aesthetic to the cannabis vape industry. The ISH’s silver design provides a sleek and discreet look that defies the traditional “Stoner” culture. Keep in mind the ISH cartridges are not reuseable, however the pen is. You will find each ISH comes in 250mg & 500mg sizes. Most people will get around 400 “Puffs” out of each 500mg ISH. For the limited smoker, this can last you up to 2 weeks or more. People who consume cannabis daily, the 500mg ISH may last you a week. The new O.penVAPE ISH flavors will make your mouth water! With flavors such as Vanilla Cake, Watermelon, Rocket Pop, Raspberry, and Spearmint how could you not want to pick up all the flavors? You can check out all our location’s live menus by clicking HERE. Overall we highly recommend the O.penVAPE ISH and our favorite flavor so far is the Rocket Pop!